In the business of money management and everything the term encompasses, it really boils down to one simple question: Has the trader, investor, asset manager, etc. generated positive alpha? In finance, alpha is used as a measure of performance. More specifically, positive alpha describes the excess return above and beyond a benchmark such as the S&P 500 Index. You can think of alpha as the excess return you should achieve for actively managing an account as opposed to passively managing one. Generally extra fees will be charged for active management strategies as opposed to passive styles, and if an investor is paying higher fees, he’d better be rewarded via gains in excess of the benchmark index. Otherwise, he could pay next to nothing and invest in an index fund. Hedge fund managers, mutual fund managers, CTAs, and the like are under immense pressure to achieve positive alpha. If they do they attract client funds, garner the attention of the media and make astronomical sums of money. If they don’t, clients flee taking their capital with them, and redemptions along with a string of years of under performance can cause the funds to close up shop. Positive alpha is the gasoline needed to make the active management motor run. Without the gasoline, the motor will come to a stop, and right quick. So this begs the question: How does one go about achieving positive alpha? And how does one achieve this excess return above a benchmark on a consistent basis? And limitless other methods, strategies, and techniques to try and outpace the S&P 500 or other benchmark. All these charts and lines and spreadsheets and hours put in are all in effort to achieve positive alpha. And continue to find it year after year after year. 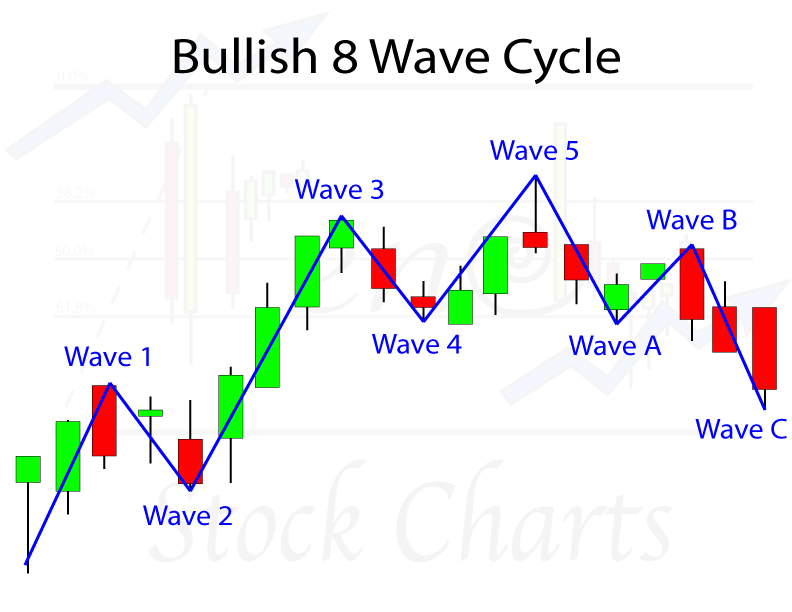 For the purposes of this post, we will focus on the left hand side of the Elliott Wave Map – what is referred to as the Motive Phase or Impulse Sequence (Waves 1-5). For our example we will assume we are in a stock in an uptrend. 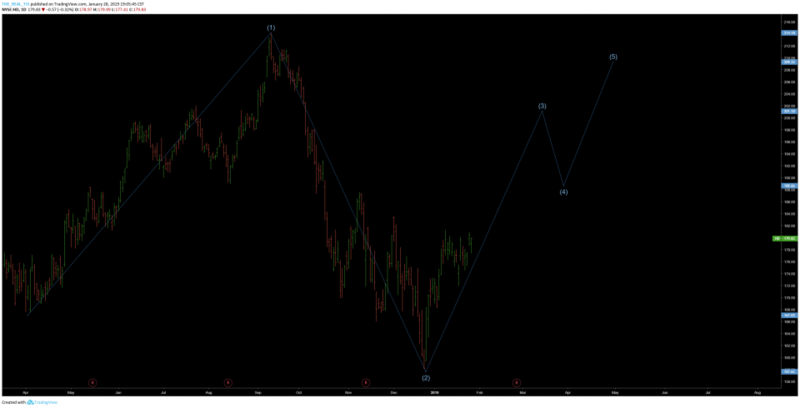 The map above can be flipped; the 5 wave moves can be to the downside and corrective phases can be to the upside. 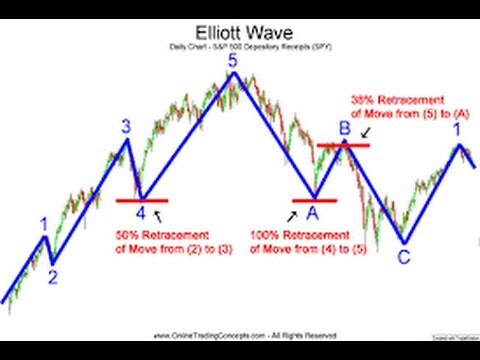 In Elliott Wave Theory within the 5 wave impulse sequence, one of the waves in the direction of the prevailing trend is “extended.” Meaning in our case, one of the waves, either wave 1, 3 or 5 is longer in price and sometimes time than the other 2. In equity markets, it happens that Wave 3 is most often the extended impulse wave. In commodity markets it turns out that Wave 5 is most often the extended wave. You might notice why this notion of Wave 3 most often being the extended wave is powerful. When we look to get long a stock, we want to get long right before it goes on a major leg higher. 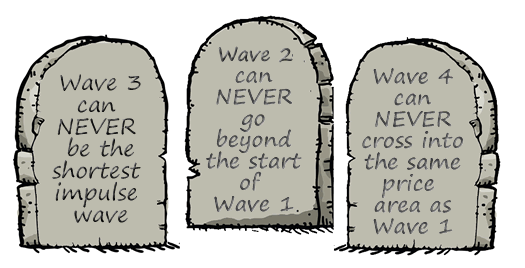 If we know that Wave 3 is most often the leg where the stock covers the most ground, it would make sense that we put capital to work towards the end of Wave 2 or the start of Wave 3. To do what? You got it; to capture as much of that positive alpha as possible. What is the problem? A cardinal rule has been broken. Wave 2 crossed below the start of Wave 1. We immediately know our wave count has been invalidated for HD on this timeframe. 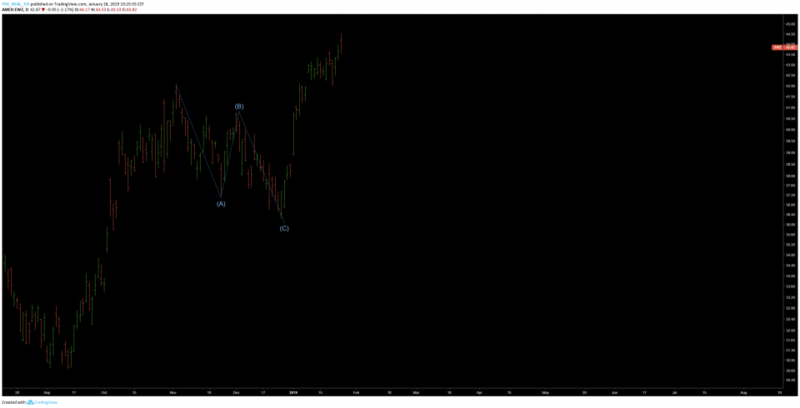 WAVE 2 USUALLY RETRACES A MINIMUM OF 50% OF WAVE 1 BUT NOT MORE THAN 78.6% OF WAVE 1. 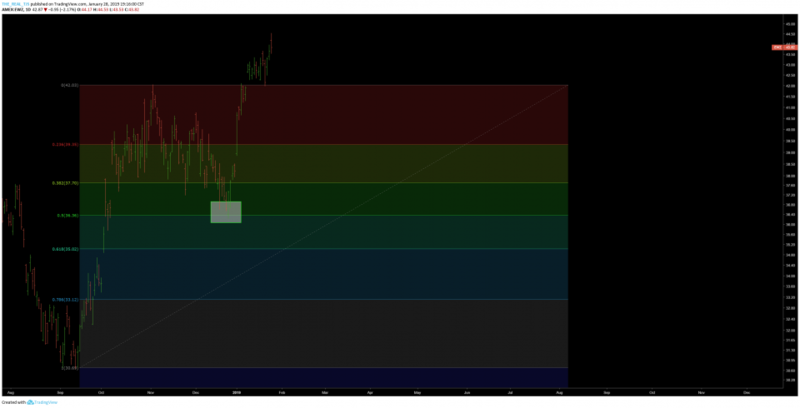 Get your Fibonacci tools out, we have some retracements to do. So we now know that we should expect Wave 2 to retrace somewhere between 50 and 78.6% of Wave 1. EWZ the Brazil ETF happens to fit the bill, at least from a retracement standpoint. We can see after a strong rally higher, price has retraced just a bit more than 50% of the most recent rally. We will count it. It is more than a 50% retracement and less than 78.6% retracement. Still think our EWZ example from above passes the test? 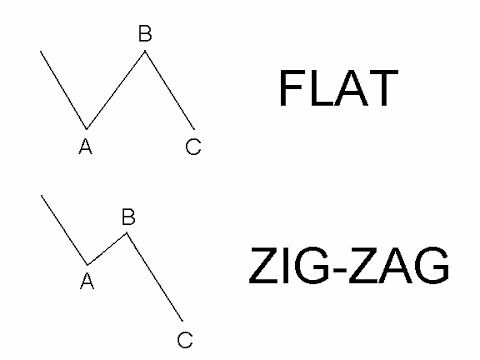 Looks something like a Zig-Zag corrective Wave to me. If you have recently been clobbered by the market, you know the feeling of being hesitant. Maybe you saw an account balance go from $50,000 at its highs to $25,000 during a massive market correction. The pain is fresh in your mind. You decide you need to get back in the game, back to your old winning ways and you get involved in a stock from the long side and catch a nice move to the upside. But sure enough, that move to the upside is met by selling resistance and the stock you are in begins to fall. 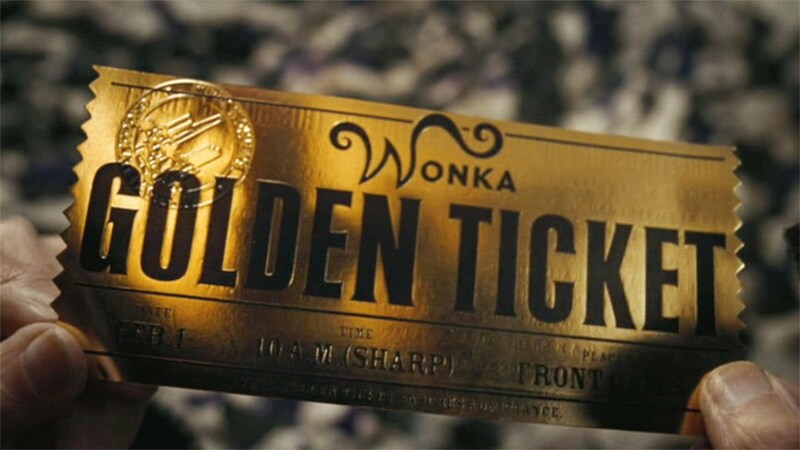 Still reeling from the losses you recently experienced, you decide you want no part of any more losses and decide to sell your stock for a nice gain. You can be sure that your timidness is echoed by the majority of other market participants, who are not trusting of this initial move (Wave 1) higher. How can you trust this move after what the market did to your account recently? This mass psychology is precisely the reason Wave 2 retraces 50-78.6% of Wave 1. Fool me once shame on you, fool me twice? Shame on me. You can also expect there to be a lot of naysayers and bears laughing in the faces of stock buyers in Wave 2 as well as muted volume. Participants just don’t trust Mr. Market yet. I am going to let you digest this for now. It is more than enough to try and practice watching for initially. There will be a part 2 of this post soon with a couple of missing pieces that will help you project just how much of a gain you stand to make in Wave 3 and a couple of additional points that will help solidify things. This is why omahacharts.com is one of the best financial blogs in the game. Well done sir and can not wait until part 2 is out.